By our home along the river they’ve cut down a grand old tree. 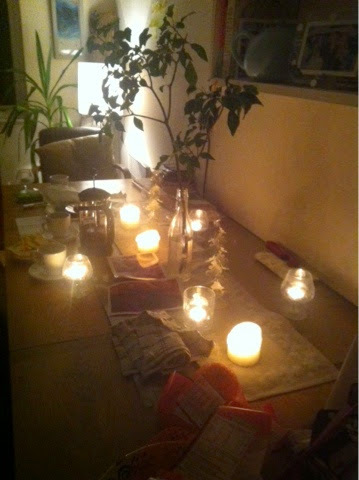 My daughter and I salvaged a branch and planted it on our dinner table. Now the little pathway that winds to our house from Folly Bridge has a bald blight and our dinner table stands witness. Wood chips and stray leaves littered the path that day like a crime scene. A touch of hyperbole, but still, that old tree hid the path so well, made it feel like a little alcove we could dart into. Our own hidden corner of Oxford. 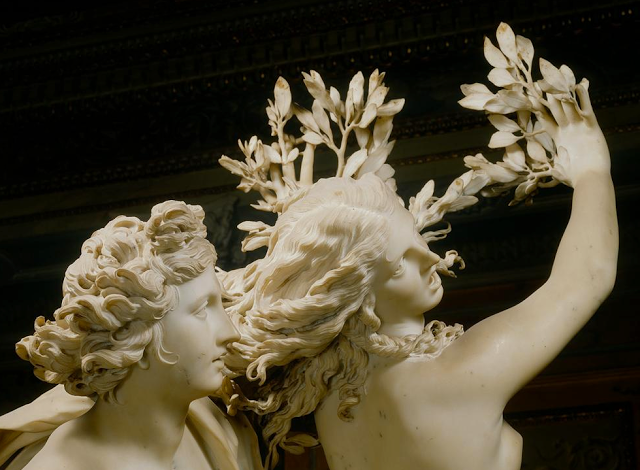 Bernini’s Apollo and Daphne makes me think of the tree’s spirit; I’ve got her arm flourishing on my table, at least.